Having a hard time keeping up with Network Monitoring jargon? We’ve got you covered. Solutions Review’s A to Z Network Monitoring glossary has definitions for over 50 of the most popular terms and acronyms. Be sure to bookmark this page and check back on a regular basis as this page will see ongoing updates. 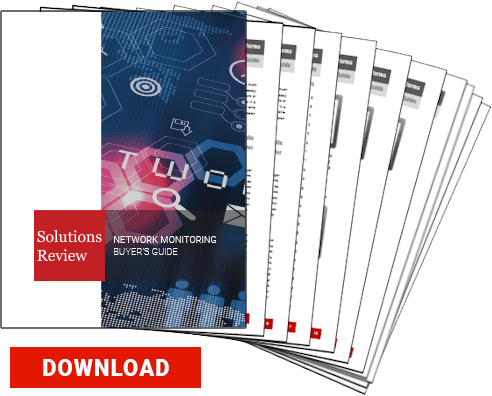 And don’t forget to check out our 2017 Network Monitoring Buyer’s Guide for a complete market overview of the top 28 Network Monitoring solutions, available here. Active Directory: A directory service that Microsoft developed for Windows domain networks. Active Monitor: A network node that is responsible for management tasks. Acknowledgement (ACK): A signal passed between communication processes to signify response recipience as part of a communications protocol. Application Discovery, Tracing, and Diagnostics (ADTD): a new dimension of application performance that combines three dimensions of APM, which are application topology discovery and visualization, User-defined transaction profiling, and Application component deep-dive. Application Performance Monitoring (APM): An area of IT that focuses on monitoring the performance of software application programs in order to provide end-users with a quality experience. Application Programming Interface (API): A set of subroutine definitions, protocols, and tools for building application software. These include, but aren’t limited to, Microsoft Windows API, C++ Standard Template Library, and Java APIs. Application Topology Discovery and Visualization: An NM tool that allows you to detect your entire web environment, visualize it into a single interactive infographic, and learn about your network environment’s performance without ignoring performance anomaly identification. Bandwidth: A measurement of the number of bits conveyed or processed (bit-rate) that are available or consumed in metric multiples of bits per second. Browser Real-User Monitoring: An NM tool that allows you to track end-to-end user activity for all web-based applications during network user sessions. Cloud Computing: An IT model that enables configurable resources (computer networks, servers, applications, etc.) from users and enterprises to allow computing capabilities, such as storage or processing, with minimal management. Cloud Migration: The process of moving data, applications or other business elements from an organization’s onsite computers to the cloud. Communications Protocol: System of allowing multiple entities of a communications system to transmit information via any kind of physical quantity variations. Common Management Information Services (CMIS): An OSI network management service interface used to monitor and control different computing systems. Control Panel: A software application that can control an aspect of system configuration. Data Consolidation: Method of IT management that reduces the size of a single facility, or merges one or more facilities to reduce overall operating costs and reduce IT footprint. Data Exfiltration: The unauthorized transfer of data from a computer. Data-flow Analysis: Gathering information about a program’s possible values, then using a control flow graph to determine optimization methods for the program. Disk I/O (Input/Output): A measurement of how much activity the server’s disks are experiencing, which is measured in terms of megabytes per second. Domain Name Servers: The main directory of domain names which are then translated into Internet Protocol (IP) addresses. 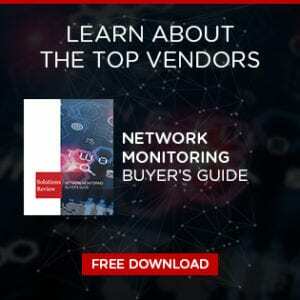 End User Experience Monitoring (EUEM): A functionality that allows you to monitor the actual end user experience of any network component on any device. Enterprise Mobility Management (EMM): The set of people, processes, and technology focused on managing mobile devices, wireless networks, and other mobile computing services in a business context. Heterogeneous Network: A network that connects devices with different operating systems (Apple, Microsoft, Linux, Toshiba, etc). Hybrid IT: An organization manages (IT) resources, some in-house but uses cloud-based services for others. Internet Protocol (IP): The principal communications protocol for sending and receiving datagrams across network boundaries, connecting multiple networks together across the Internet. Information Technology: (IT): The application that allows computers to store, study, retrieve, transmit, and manipulate data. Legacy Modernization: Converting, rewriting, or porting a legacy system into a modern computer hardware platform. Legacy System: Of relating to an old/previous/outdated computing system. LM-X License Manager: A license management tool that protects software products against malicious software. Multicloud Strategy: The use of multiple cloud computing services in a single heterogeneous architecture. Network Behavior Anomaly Detection: The continuous monitoring of a network for unusual events or trends. NBAD offers security in addition to that provided by traditional anti-threat applications such as firewalls, intrusion detection systems, antivirus software and spyware-detection software. Network Monitoring: Using a system to constantly monitor a computer network(s) for hinderances or failures in the network’s components, which are then notified to network administrators for quick remediation. Network Scanning: A procedure for identifying active hosts on a network, either for the purpose of attacking them or for network security assessment. Node: An active electronic device that is attached to a network, and it’s capable of creating, receiving, or transmitting information over a communications channel. Physical: Transmits and receives streams of binary sequences over a physical medium. Data Link: Two nodes connected by a physical layer reliably transmits data frames. Network: Structures and manages the addressing, routing, and traffic control of a multi-node network. Transport: Through segmentation, acknowledgment, and multiplexing, data segments between points on a network are reliably transmitted. Session: Manages communication sessions through recipient transmissions between two nodes. Presentation: The translation of data between a networking service and an application. Packet Segmentation: The process of dividing a data packet into smaller units for transmission over the network, and this usually happens at Layer 4 of the OSI model. Perfect Forward Secrecy: Unlike Forward Secrecy, PFS is a more advanced form of FS where a key is created to encrypt and decrypt messages between client and server, but this one is valid only for one session. Ping: A utility to determine whether a specific IP Address is available. Real-Time Analytics – The ability to use all available enterprise data as needed and usually involves streaming data that allows users to make decisions on the fly. Remote Monitoring and Management (RMM): The process of managing software systems through locally installed software agents that provide the ability to install new or updated software remotely, threat detection, and provide reports. Route Analytics: A network monitoring technology \developed to analyze the routing protocols and structures in meshed IP Networks. Routing Protocols: How routers communicate with each other, distributing information that enables them to select routes between any two nodes on a computer network. Secure Sockets Layer (SSL): The industry standard for transmitting secure data over the Internet. It is based on a system of trusted certificates issued by certificate authorities and recognized by servers. Service Level Agreement (SLA) – A contract between a service provider or vendor and the customer that defines the level of service expected. 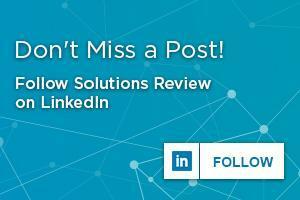 SLAs are service-based and specifically define what the customer can expect to receive. Software Application Architecture: The process of defining a structured solution that meets all of the technical and operational requirements, while optimizing common quality attributes such as performance, security, and manageability. Software as a Service (SaaS) – A software delivery model in which software is licensed on a subscription basis and is centrally hosted and typically accessed by end-users using a client via web browser. Software-Defined Wide-Area-Networks: These are used to connect enterprise networks over large geographic distances, including data centers and branch offices of a company. User-defined Transaction Profiling: A functionality that tracks user activity and service transactions within your applications’ components. Web Server: A computer system that processes requests via Hypertext Transfer Protocol (HTTP), the basic network protocol used to distribute information on the internet. Wide Area Network (WAN): A network that extends over a larger geographical distance.